Many fans disliked the fact that ESPN brought in the politically-charged left-winger, but even many members of the reliably left-wing sports media felt that the elevation of Olbermann to the booth was a horrible idea, NJ Advance Media reported. Olbermann rejoined ESPN after having been fired several times in the past and after closing his little-seen Youtube channel where he launched into daily unhinged, curse-filled harangues against President Donald Trump. Fans flooded Twitter with attacks on the sports network’s choice of Olbermann, especially in light of his politics. Indeed, some blasted ESPN for constantly re-hiring the far left-wing Olbermann, despite firing conservative personalities such as Curt Schilling. Hey @ESPN, do a quick twitter search of "Keith Olbermann" and maybe think twice next time you want him to call a game. But members of the sports media also jumped in to slam ESPN for giving Olbermann an umpteenth chance in the broadcast booth, especially when there are many more deserving people waiting in the wings. ESPN has an exclusive window in New York because of SNB rainout. With all eyes on it, putting Olbermann in the booth was a bad decision. This game doesn't need a gimmick. Why is Keith Olbermann doing this game? Originally, ESPN had Cardinals’ game and he was slated as play-by-player for it. When Yanks-Mets was moved to tonight, ESPN kept Olbermann on call, according to an ESPN spokesman. It also is not a good decision internally. How many more loyal to ESPN play-by-players than Olbermann would kill for the opportunity to do Yanks-Mets? Reward them. 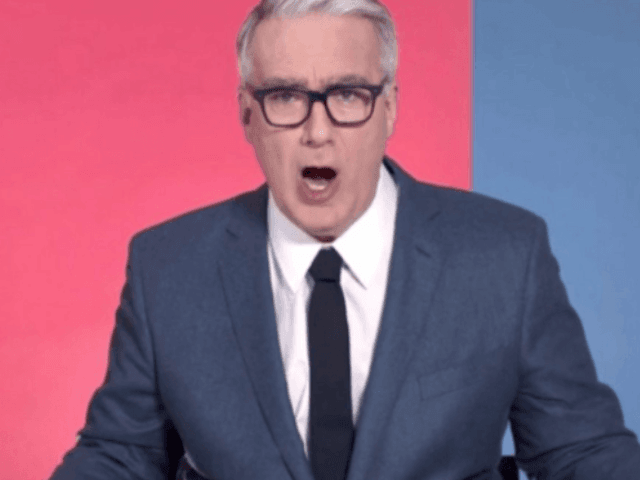 Olbermann sounds like a guy who hasn't done a lot of play-by-play, which he hasn't. It is a bit distracting. That ESPN thinks Keith Olbermann is a good idea tells you everything you need to know about ESPN.